If you are a young person between ages 11-18 we would love you to join us! On a Sunday morning we gather as a church family at 10:15am. After a time of worship our young people go to the following groups. BRAVE. Brave is our high school group (ages 11-16) who meet on a Sunday during our morning service at 10:15am. Here we can look at the Bible and be equipped to live big, brave and adventurous lives with Jesus. RESOLUTE. Resolute is our college/ sixth-formers community (ages 16-18) who meet on the 1st Sunday of each month for lunch together. Resolute means ‘purposeful, determined and unwavering’- which is exactly what we want to encourage each other to be! Small groups of young people meet each week to be encourage, pray, learn and support one another. Our Life Groups meet on various evenings of the week all over the city, with members of the St Pauls Youth team. As well as having regular weekly activities, it’s great to get out and do something a little different from time to time. We want young people to have opportunities to try new things and meet new people! Which is why we have half-termly events! Some of these are just for fun and some are a chance for us to gather with other Christians for worship or mission. We are passionate about connecting with young people in our community and building relationships with those outside of church. LifeThrive is a small-group programme that we have designed and deliver in one of our local secondary schools, to empower struggling young people to fulfil their potential through building resilience. 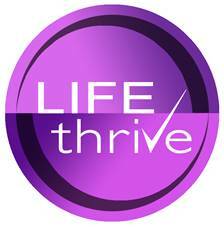 LifeThrive is yet another great way we can serve our community, love people and see lives changed. LIGHTBOX is a drop-in youth café open to all young people ages 11-18. It’s a space where we can connect with young people in our city, build relationships and support them. We are working with a couple of other city centre churches to make Lightbox happen. Lightbox is open Fridays during term time for school years 7-9 between 6:30-8pm and for years 10-13 between 8-9:30pm. We will be meeting at Worcester Baptist church. As well as the café there is loads to do including pool, games consoles, table tennis, films, and more. So pop in for a drink or some cake anytime! For more information on Lightbox, you can follow us on our social media sites; click the links below or do a search for @lightboxworcs. That as a drop-in youth café, young people are free to come and go within session times. Lightbox staff are unable to take responsibility for young people. Young people remain the responsibility of their parents/ carers whilst visiting Lightbox and whilst travelling to and from. Parents/ carers should make arrangements with their young person. Lightbox Info pack for parents here.